The color here may seem altered for effect... It is not. 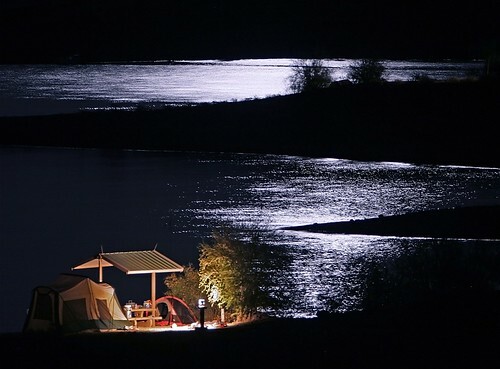 The full moon's reflection was bright white on the dark water and the campsite was lit with the electric light seen in the foreground. What you see here is what I and the camera saw!